The WordPress.com stats helper monkeys prepared a 2012 annual report for this blog, namely, “sukitoSPOON”. 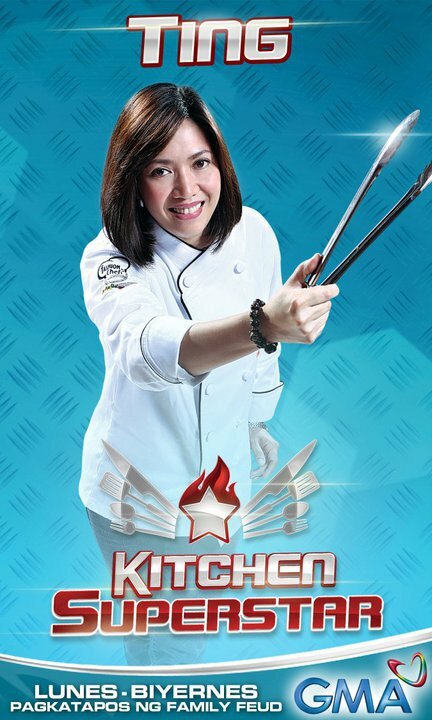 Congratulations to Teresa “Ting” Lledo of Pangasinan as the first grand winner of “Kitchen Superstar” to take home 1 million pesos tax free and an Asian Cruise Package for four plus a chance to star in her own cooking show! “Kitchen Superstar” is a reality cooking game show in the Philippines aired on GMA channel 7 every weekdays to run from April 04, 2011 until July 01, 2011, hosted by actor and restaurateur Marvin Agustin. The cooking program aims to find the best non-professional cook in the country. Those people who just love to cook without any formal training from any cooking school. As quoted from Ting’s Facebook fan page, “In the childhood memories of every good cook, there’s a large kitchen, a warm stove, a simmering pot and a grandmother♥”. Photo courtesy of: Ting Lledo’s Facebook Fan Page photos. Looking for a place to eat? 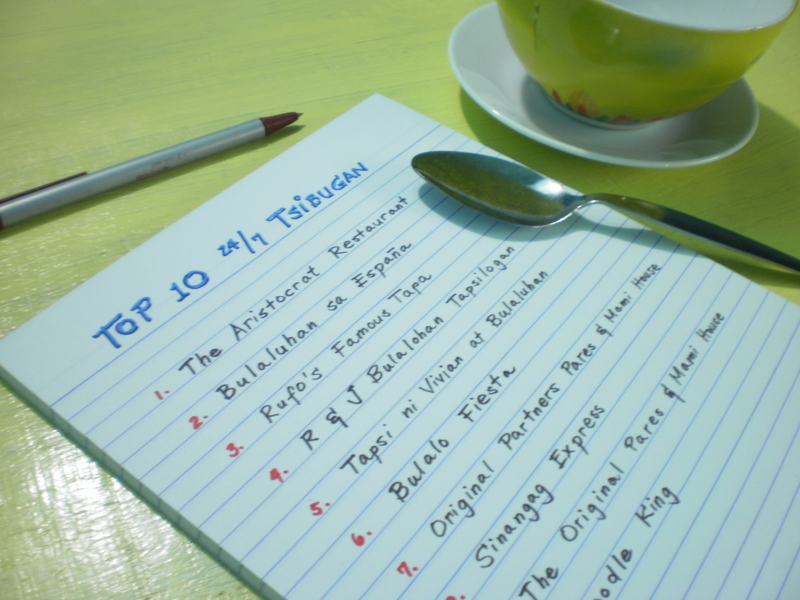 Check out this list of restos! For all the food lovers and busy persons out there who’s looking for a food stop to satisfy their hungry tummies… here are some tips for food express to go to that was suggested from the TV show, “ANG PINAKA” in GMANews Channel (11) on their June 05, 2011 episode with the topic, “TOP 10 24/7 Tsibugan“. By the way, “Tsibugan” is a Filipino slang term for food stop or food express from the rootword “tsibog” or “chibog” which is a Filipino slang term for “food”. 4. R & J Bulalohan, Tapsilogan, ATBP. I’ve also added some link in each restaurant for supporting details. My apologies for some of the links because some of them doesn’t have their own website or page. We traditionally avoid eating meat during Holy Week specifically the Catholics. Basically, there’s no other choice what to serve on the table other than vegetables or fish dishes. 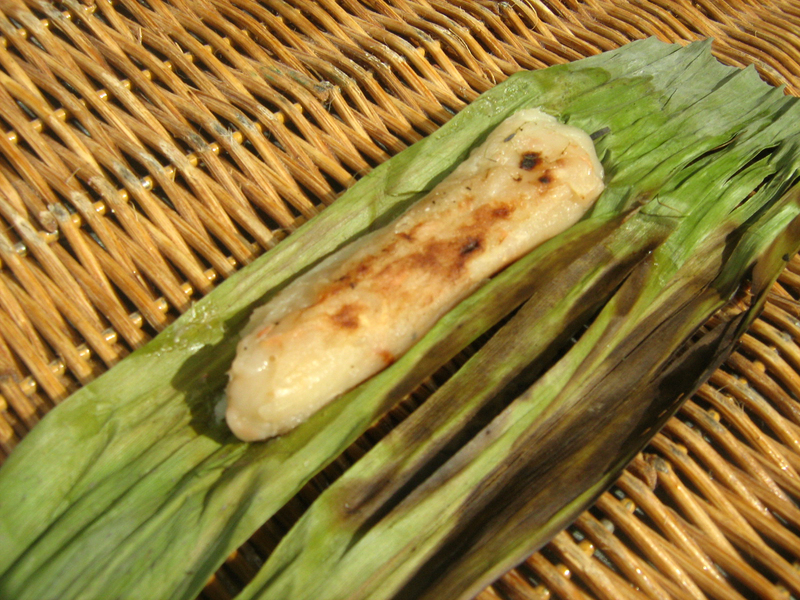 This lent I’ve tried an easy “steamed lapu-lapu” recipe of my mom. For the ingredients: Lapu-Lapu fish, rock salt, onion, ginger and water for steaming. For the procedure: First, you have to clean the fish. Second, rub the whole fish with rock salt. 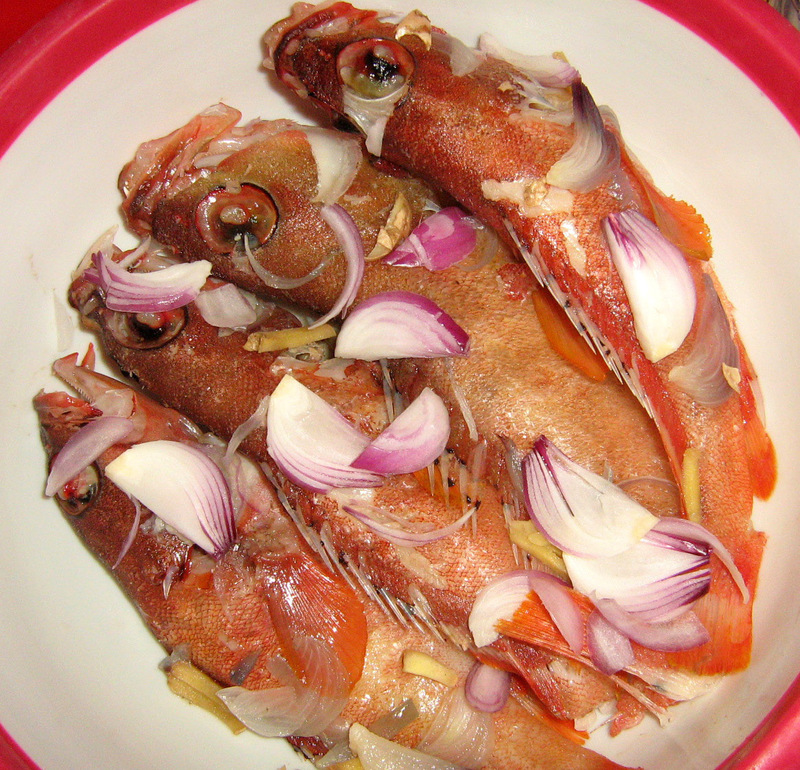 Then, insert sliced ginger and onion inside the fish head to help reduce the fishy smell. Last, steam the fish in the steamer for 30 minutes or until cooked. Chill for a while then sprinkle it with sliced onions and ginger on top… and serve. 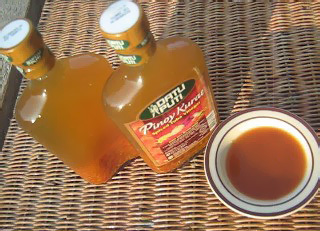 food moment: SPICED TUBA VINEGAR for Free! 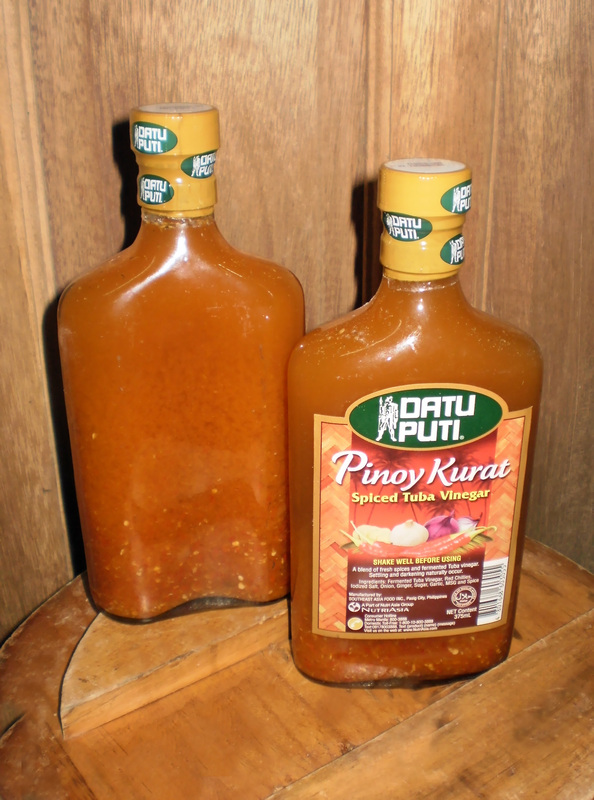 “Datu Puti”, famous for its vinegar brand in the Philippines, have been giving away two bottles per person of “Pinoy Kurat: Spiced Tuba Vinegar” for free! It all started when I was strolling in the park last month, March, and my attention was caught with this long line of people leading to a van with uniformed persons giving away something. Out of curiosity, I fell in line and when it’s my turn to receive something… I’m quite surprised and slightly smiled when they gave me this two bottle of their new “Spiced Tuba Vinegar” for free after signing up my name with my signature on their list. I assumed that they’re doing it for promotional purposes. Other reasons that came into my mind was that they have to consume all the products because its expiration date will be due in a week to a month’s time. I’ve also noticed some familiar faces who used to fall in line over and over again… repeatedly. When there’s only 12 bottles left in the last box of the spiced vinegar, the people just gone out of control and were in stampede. That’s what really free stuff might do… they can drive the public in panic of having the most items in their hands. 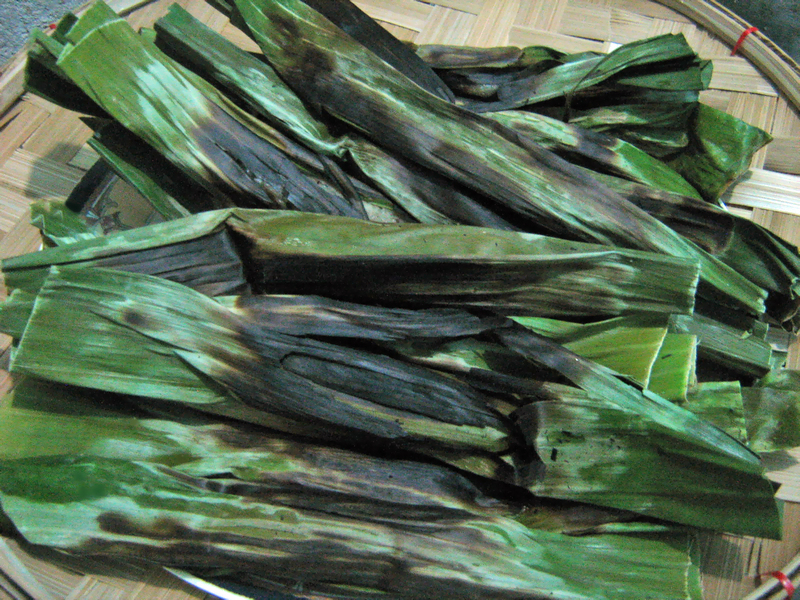 Anyways, when I got home… I’ve tasted it and it taste good! It’s a great dip for “chicharon” or in any “pulutan” with beers on the side. The red chillies in the mixture wasn’t really that hot for the tongue but just enough for you to handle. Good enough and I am happy that I let my curiosity carried me away. 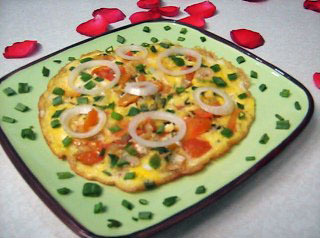 One of my favorite breakfast is to have an omelet (omelette) on the table aside from eating a plain fried egg. Sometimes I do cook for myself when no one’s at home as I woke up in the morning… and this is my simplest and easy-to-cook omelet recipe that I wanted to share. 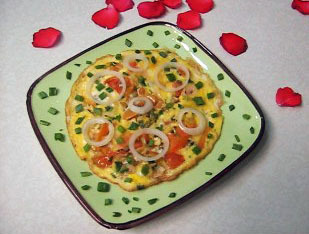 You will need: one egg or more (depending on how many persons will eat), spring onions, ripe tomatoes, white onions and salt. 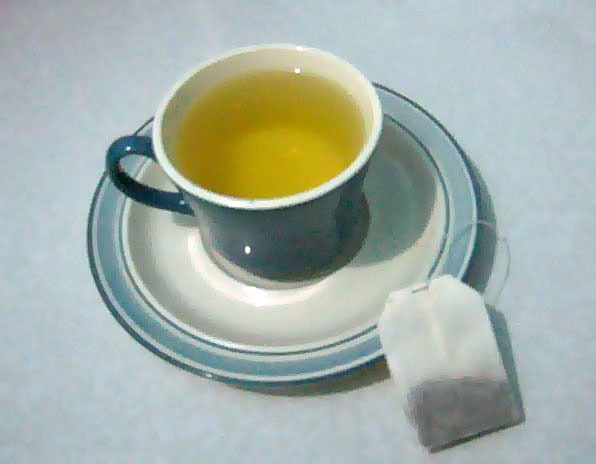 First, heat butter or vegetable oil (cooking oil) in a frying pan. Then, saute sliced white onions followed sliced tomatoes in a pan. Cut the spring onions into small pieces then saute it with the onions and tomatoes. In a separate bowl, have the eggs beaten up and add a very small amount of salt to taste. pour the beaten eggs in the pan with the mixture. Cook it in a low fire ’til the egg turns sunny yellow. Serve it hot in a plate and sprinkle onion rings and spring onions on top.